Climbers and mountaineers are known for their ruggedness. Weather will rarely dissuade a passionate climber from scaling a wall, and even the coldest conditions are overcome by the most determined mountaineers. However, some seasons—especially in the United States—present better climbing conditions than others. Though mountaineering may not have a clear-cut season, there are months where visitors flock to parts of the world to climb famous peaks. So, what does that season look like? In the Tetons, summer and fall are the most popular mountaineering seasons. Climbing the Grand Teton, a fourteen-mile trip, is most popular in late August and September. While July and early August present excellent climbing weather, these months experience severe afternoon thunderstorms; if mountaineers want to climb Grand Teton in July, they should plan to summit before 1:00PM, which will allow time to descend before lightning starts to hit the peak. 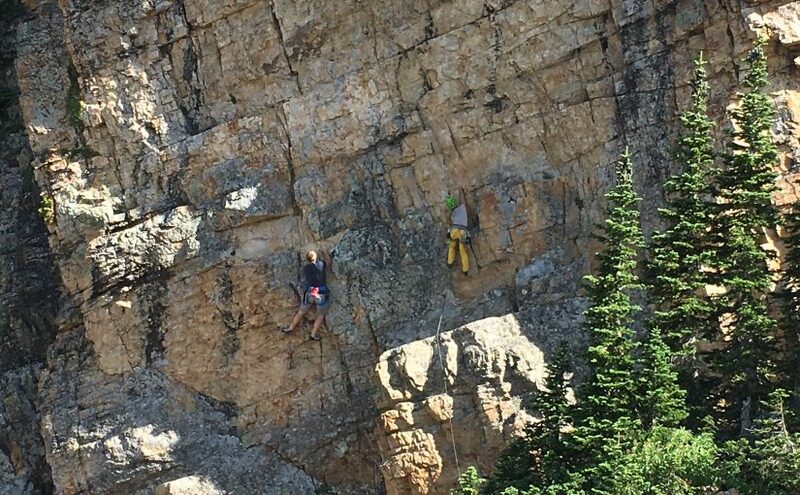 Though August and September are the most popular climbing months in the Tetons, nearly every season has something to offer. Winter Grand Teton ascents are difficult but popular, whereas springtime presents a felicitous opportunity for both climbing and skiing. Nearly every climb will present advantages and challenges in different seasons. That said, if you’re planning to visit the Tetons to climb, reflect on your personal experience and general climbing knowledge; if anything about a season’s weather makes you uncomfortable, opt for a different month. Luckily, the Tetons are an excellent place to visit regardles of season. If you’re a veteran mountaineer looking for an additional challenge, you might begin looking outside the United States for new opportunities. If you’ve grown tired of the Tetons (we’re skeptical of this claim), you’ll likely need to adapt to a new seasonal cycle. Check out this helpful mountaineering calendar to see when you should climb the world’s greatest mountains.